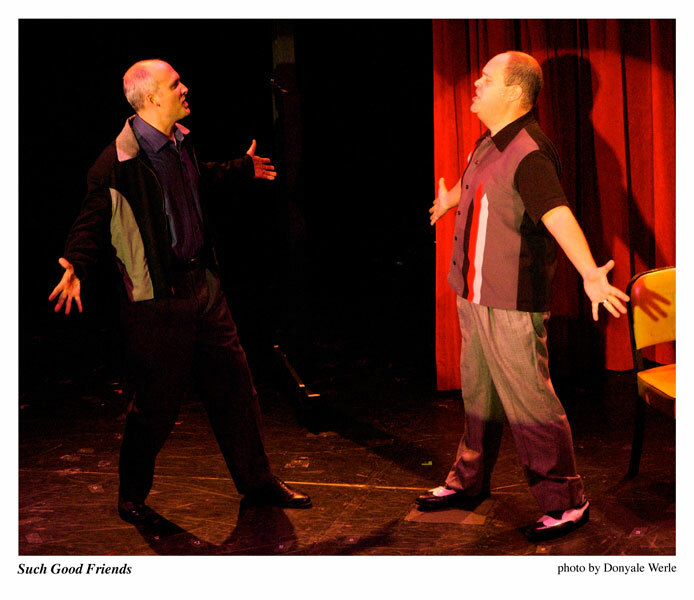 Such Good Friends - New York Musical Theatre Festival, The Julia Miles Theatre, NYC. Starring Brad Oscar and Liz Larson. 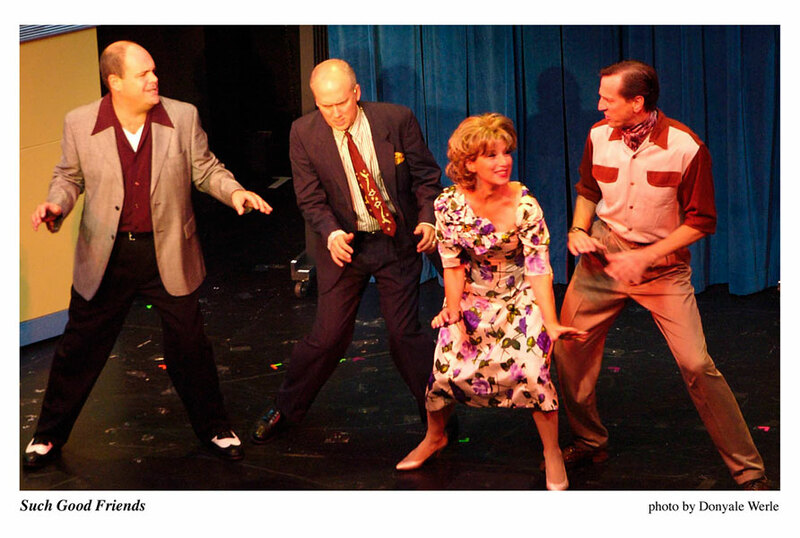 An original musical comedy about three old friends -- a comedienne, a director, and a writer -- having the time of their lives entertaining America every week. But the pressures of being funny live on television are child’s play compared to the serious consequences of being forced to name names before the House Un-American Activities Committee. 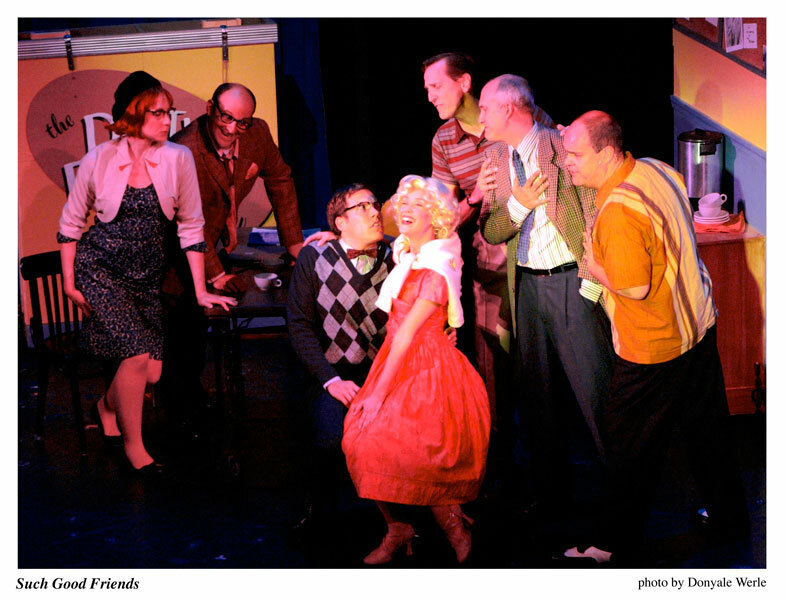 "My Favorite Year" meets "Good Night and Good Luck" in this tuneful look at friendship and show business in the 1950s. Old friends work to broadcast a variety show on television, circa 1950. They avert those only-on-live-television catastrophes, but one thing’s too big for them to handle: McCarthyism. At first, they joke about how the most innocent bit of behavior – like ordering Russian dressing – can lead to the accusation of anti-Americanism. They channel their frustrations into a sketch about a court jester who, in his youth, had jested for a kingdom that was formerly allied but isn’t any more. After it airs, the old friends are served with subpoenas calling them to appear before the House Un-American Activities Committee. The star is able to charm her way out of giving information, but the director is pressured into naming names. The head writer is arrested for refusing to answer questions, and later, out of a job, is forced to return and supplicate himself before the Committee and name names. This weighs heavily on him: he’s welcomed back to the set but he views himself as a traitor. Unable to live with the guilt, he takes his life, bringing about a rapprochement between his surviving friends. 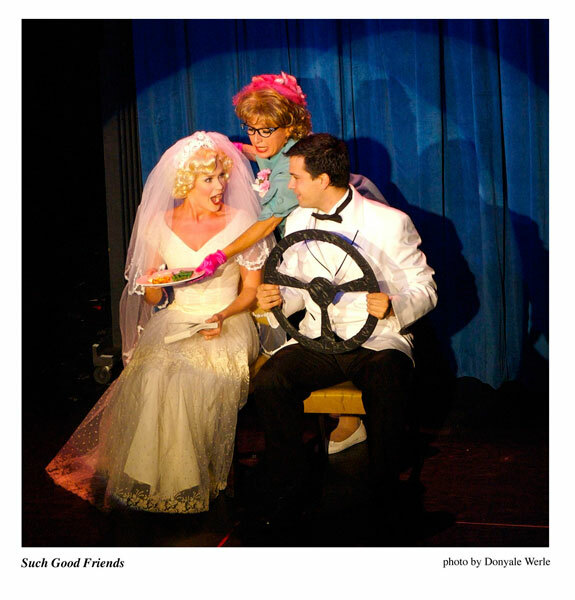 “One of the best musical comedies I've seen in years”. 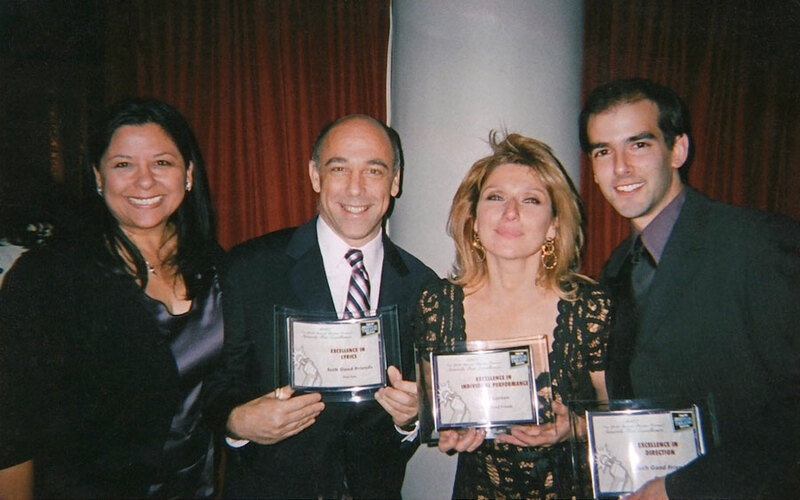 “Director Marc Bruni's production is full of moxie”. 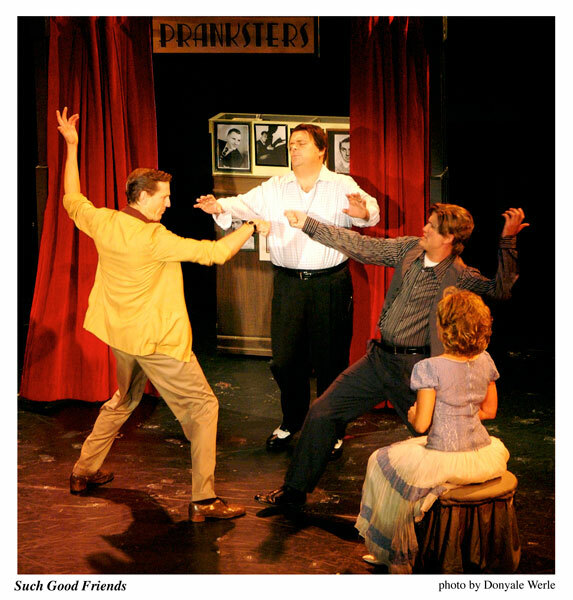 “The lively and hummable score easily blends the vaudevillian antics of the first act into the emotional heartache of the second with sharp lyrics and clever rhymes”. “Liz Larsen is just sensational in a leading role that showcases both her delightful clowning skills and her strong, emotion-packed belt”. 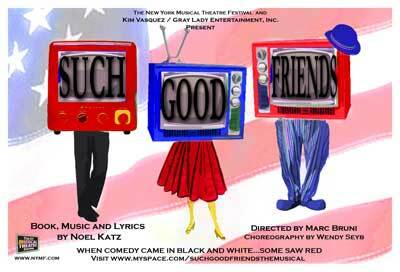 “With book, music, and lyrics by the brainy Noel Katz, the new musical Such Good Friends is a deceptively old-fashioned musical comedy far less like a period piece than a straightforward revival of an actual musical from Broadway's Golden Age”. 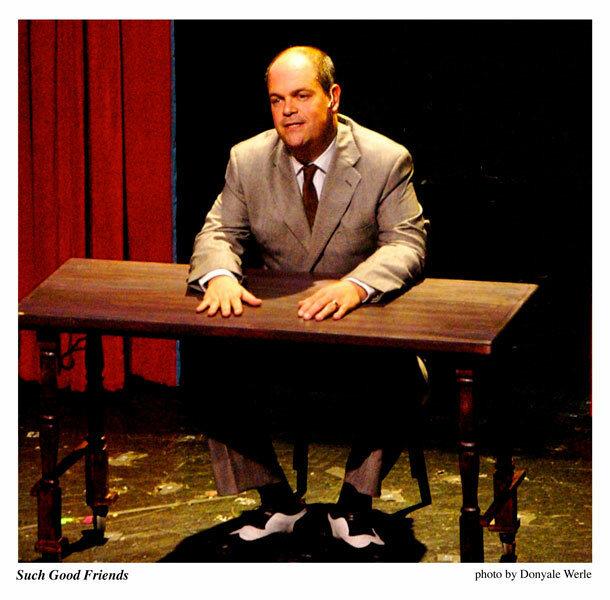 “A wily wizard with words, Katz has created a show that, despite his tuneful, toe-tapping music, derives its primary entertainment value from verbal humor”. 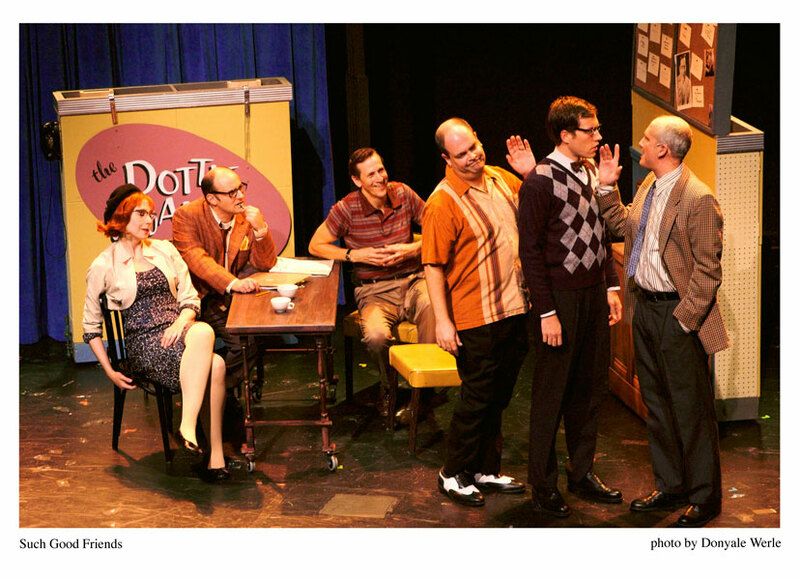 “This is the kind of musical that's not been made for Broadway in a long time”. 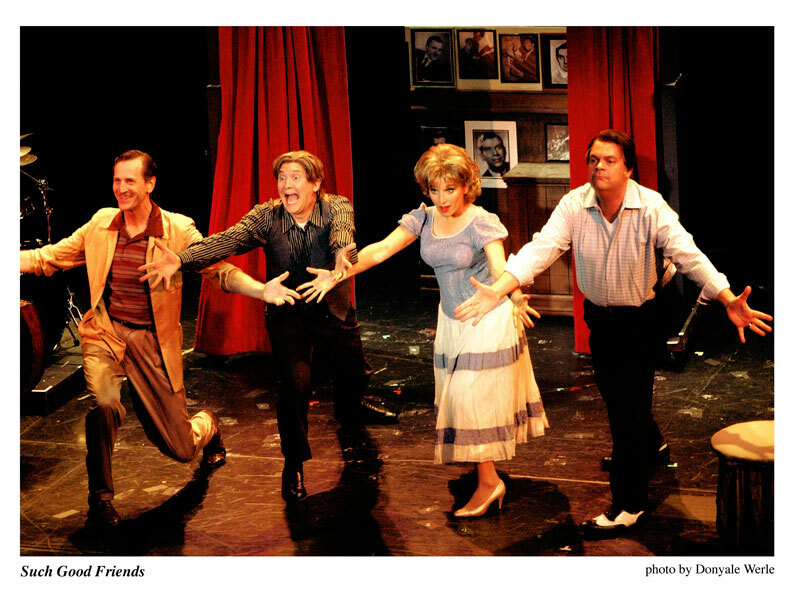 “Such Good Friends not only emulates the creative techniques of musical makers of the past but seems written for Broadway audiences of a bygone era”. 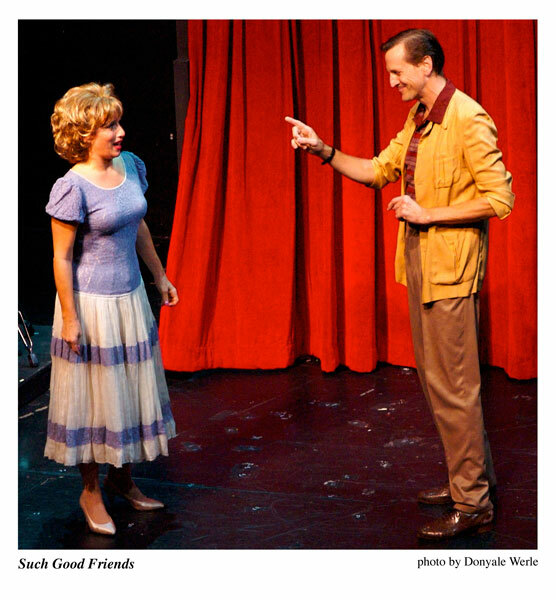 “Slickly directed by Marc Bruni and sparked by the star power of its leading lady, Liz Larsen”. “The hard-hitting political message takes brilliant dramatic command”.